With classic venues such as Chateauvert, the Sainte Victoire, Buoux, the Verdon, and the Calanques it is little wonder that the Provence area of southern France is known as a climbing paradise. ClimbProvence is an association of English speaking rock climbing Guides that is dedicated to ensuring that visiting English speaking climbers makes the most of their visit to the area. You all climb for different reasons – the thrill, to travel, to push yourselves, for fitness, and for friendship. By preparing bespoke climbing experiences, our English speaking rock climbing guides will ensure that you make the most of your climbing trip to Provence. We can arrange coaching to analyse and improve your climbing technique, a climbing course to meet your needs, or a guide to take you safely up your dream route. 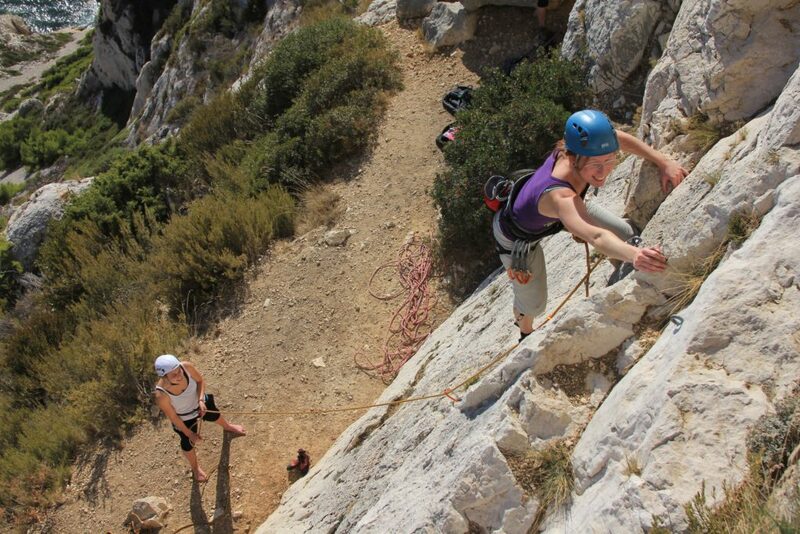 We can even arrange a fully guided rock-&-road trip; the ultimate French climbing experience!